I have posted elsewhere in this blog about Appos, which is a breakfast item made with rice and dal. 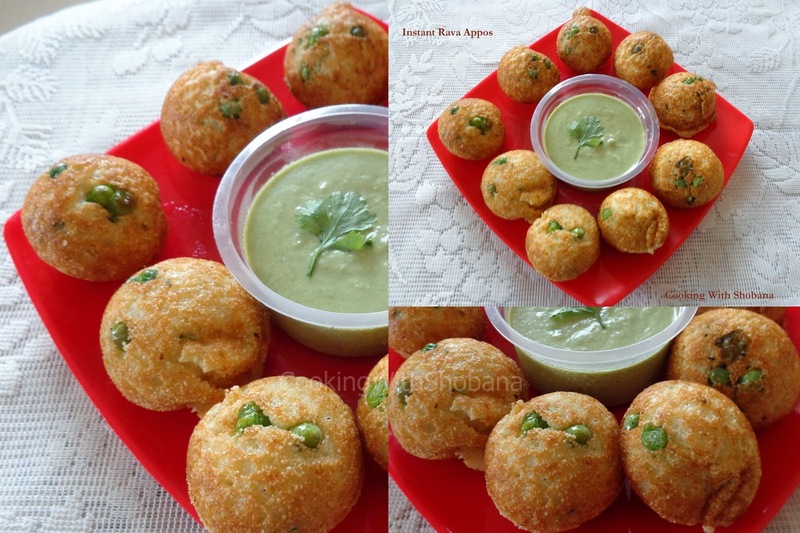 You will also find recipes for several types of Appos including the Masala Appo. Today's recipe for Instant Rava Appo is different in that instead of rice, we use semolina or rava for making the appos. I am thankful to my friend, Suphala Shenoy, for sharing her recipe. 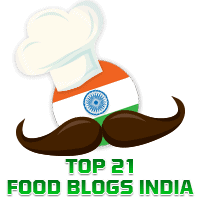 You may recall that Suphala has earlier contributed a Guest Post for Mangalore Ghee Dosa. Appos are made in a particular kind of tava which has sockets, which we call Appe kayli in Konkani and Paniyarakkal in Tamil. I use this one from Prestige's Omega series which makes 11 Appos in one round. The beauty about this dish is that you don't need time for fermenting the batter or anything of that sort. It is truly "instant". I made this out of 1 and 1/2 cups of medium rava which yields about 25 appos. In a bowl, mix together the rava, curds, water and salt. Keep this mixture aside for 15 minutes. Pour a little oil in the sockets and heat the "appe kayili"